I trying out different java programs for my RPi B+ V1.2 and as far I have only tried to blink with a lamp for a few seconds. It works. Now I want to try to blink with a lamp by using a button. In this case, I need to use a listener for my button. 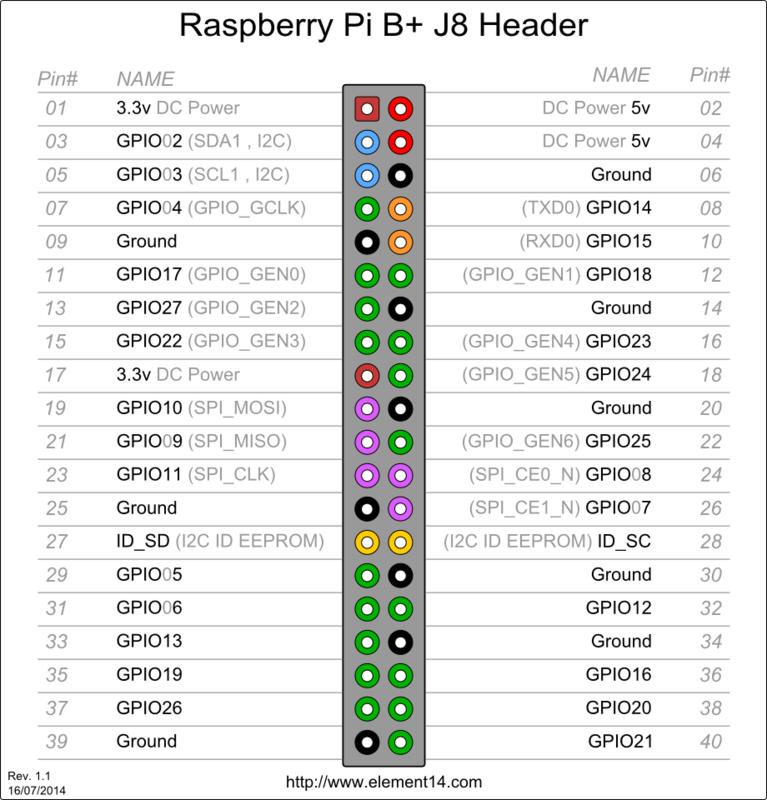 * for GPIO pin state changes on the Raspberry Pi. Have I forgot something? It was a long time ago I worked with microcontrollers. Mabey I have missed something? 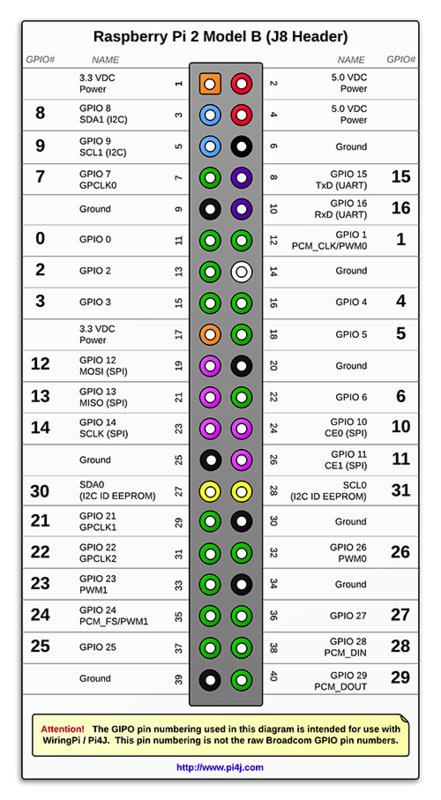 Then GPIO18 will go HIGH/LOW and ligth a LED lamp. Why does my Raspberry Pi B+ has the Raspberry Pi 2 B pinmap? Looks to me you're mixing up pin numbering schemes. The B+ image above shows BCM (Broadcom) scheme. 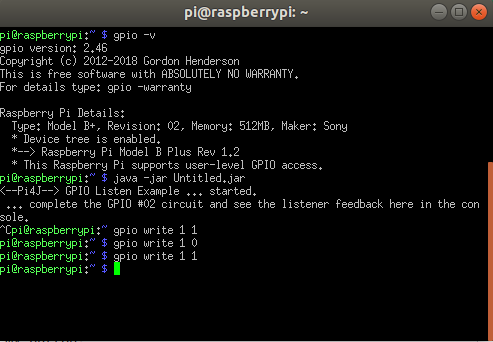 The second one is the wiringPi (and implicitly Pi4J) scheme (notice the text at the bottom of the image). The gpio utility, which is part of wiringPi, also uses this scheme by default. Not the answer you're looking for? 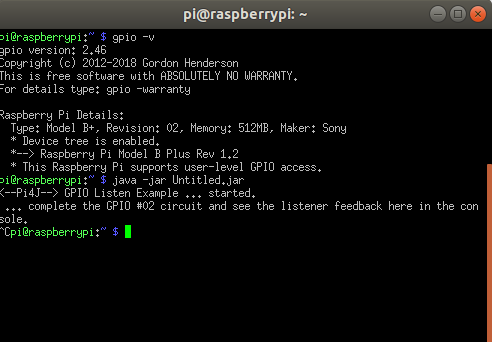 Browse other questions tagged pi-2 led java pi-b+ pi4j or ask your own question. What's the best way to control a Matrix of 10 x 20 LED with Raspberry Pi?